When life gives you lemons, we say mix them with booze. And that's exactly what you'll do with this tutorial on how to make limoncello. Great on its own or mixed into cocktails, you'll love this homemade drink. There's nothing like a glass of icy cold limoncello on a hot summer day. That being said, this refreshing drink is so much better when it's homemade. That's right... You can make your own limoncello — and it's so easy. So grab those lemons and get to peeling. You'll be glad you did. Use a vegetable peeler to remove the peel from the lemons, trying to get just the outer yellow rind and not the inner white pith. If there are peels with a lot of pith, use a small paring knife to scrape away the pith but don't worry about getting every last little bit of pith off the peels. 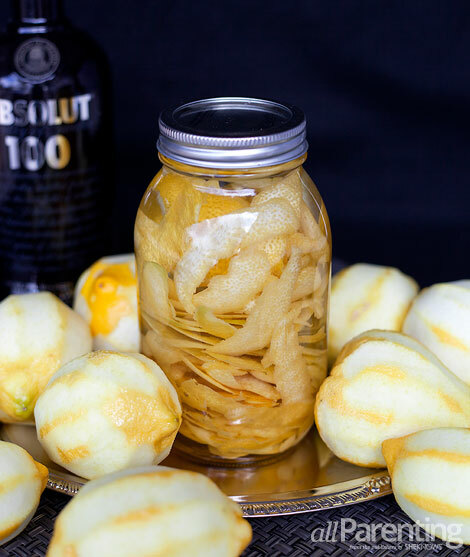 Add the peels to a quart-size Mason jar and fill with vodka. Put the lid on the jar and let it sit in a cool, dark place for 3 to 5 days, or until it has a nice lemon flavor. Citrus tends to infuse quickly so you'll want to check it every day after the third day. Line a large strainer with cheesecloth or a coffee filter and place over a medium bowl or large measuring cup. Pour the vodka into the lined strainer to filter out the lemon peels. Add the sugar and water to a medium saucepan and heat over medium heat. 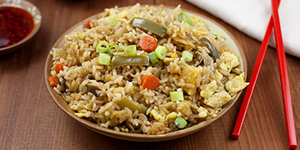 Bring the water to a simmer and stir to dissolve the sugar. Once the sugar is dissolved, turn off the heat and let the simple syrup cool. Add 1 cup of the simple syrup to the lemon-infused vodka, stir and taste. If you'd like it sweeter, add more simple syrup. If after adding all of the simple syrup you find it's still not sweet enough, make another batch of simple syrup and add that to taste. Leftover simple syrup can be stored in the fridge and used to sweeten other cocktails (add a teaspoon of vodka if you won't be using it within a week). 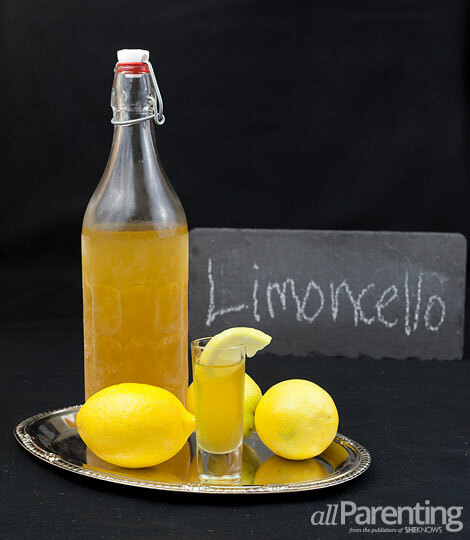 Using a funnel, pour the homemade limoncello into a large glass bottle (or 2 depending on the size of your bottles and how much limoncello you made) and store in the refrigerator or freezer until ready to use. Enjoy straight from the fridge or freezer, on the rocks or mixed into various cocktails (try it mixed with sparkling wine or in this lemon raspberry cocktail). Stored in the freezer, your homemade limoncello will last about a year.